string(1088) "Resource Centre > Uncategorized > World Bank Environmental and Social Framework"
The World Bank Environmental and Social Framework sets out the World Bank’s commitment to sustainable development, through a Bank Policy and a set of Environmental and Social Standards that are designed to support Borrowers’ projects, with the aim of ending extreme poverty and promoting shared prosperity. the mandatory requirements that apply to the Borrower and projects. The Environmental and Social Standards set out the requirements for Borrowers relating to the identification and assessment of environmental and social risks and impacts associated with projects supported by the Bank through Investment Project Financing. 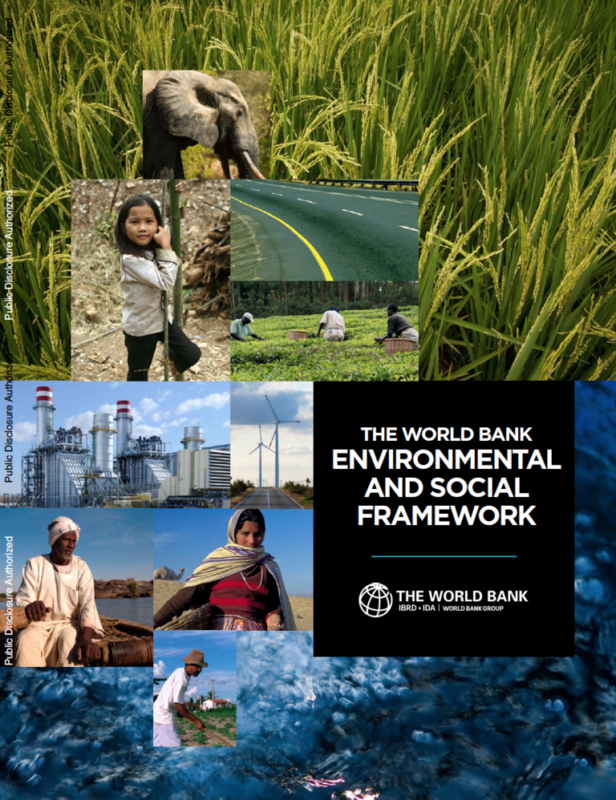 The standards will: (a) support Borrowers in achieving good international practice relating to environmental and social sustainability; (b) assist Borrowers in fulfilling their national and international envi- ronmental and social obligations; (c) enhance non-discrimination, transparency, participation, accountability, and governance; and (d) enhance the sustainable development outcomes of projects through ongoing stakeholder engagement. Supply chains are addressed in the section “Environmental and Social Standard 2. Labor and Working Conditions”. According to the standard, no trafficked persons will be employed in connection with the project.